Virtual real estate worth millions – get yours. We’ve productized and gamified buildings on Condo.com where agents become established as the exclusive Building Expert through automated online and offline marketing. The program is backed by 10-years of condo building data and consumer marketing expertise. The Condo.com brand serves as an un-biased and objective authority in the condo space – creating a sense of trust and reliability amongst consumers. Agents who purchase top performing buildings on Condo.com receive marketing leverage from a multi-million dollar brand. Owning a building with monthly automated resident marketing allows top agents to develop relationships with hundreds of potential buyers and sellers and win on-going business from within the building. Buildings on Condo.com are exclusive virtual real estate with millions of dollars in active inventory and annual sales. The ROI is massive for agents that close just one transaction per year from the program. As the product evolves, market-based pricing for buildings will establish objective values. Once a building becomes money producing for an agent, it is a great long-term asset within a clearly defined niche. Successful agents will add multiple buildings to their portfolio. Our mission is your building success. Pick a building (or two) and market it fully for a year following our best practices. It will provide a return on investment and become an established channel that you can grow and market to every year. 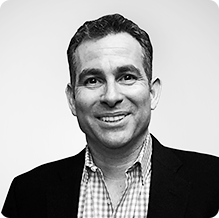 Richard Swerdlow is the Founder and CEO of Condo.com and a condo marketing expert. Swerdlow is a serial entrepreneur with over 25 years of web development and Internet marketing experience. He founded Condo.com in 2005 and has developed the portal into the leading condo site in the world. He is on a mission to create a new way for real estate agents and others to make money through building marketing. He is an attorney and member of the New York and Florida Bar Associations and a licensed Real Estate Broker. Swerdlow has been interviewed and quoted as an expert on real estate and Internet marketing in various publications and media outlets including The New York Times, Wall Street Journal, Miami Herald and affiliates of NBC and ABC. He has appeared as a guest on CBNC and Fox & Friends. Swerdlow can be reached by email at rich@condo.com. Secrets to building your real estate business with marketing automation.